The new iPad Pro 10.5 is a powerful beast. But can it act as a pro video editing machine? 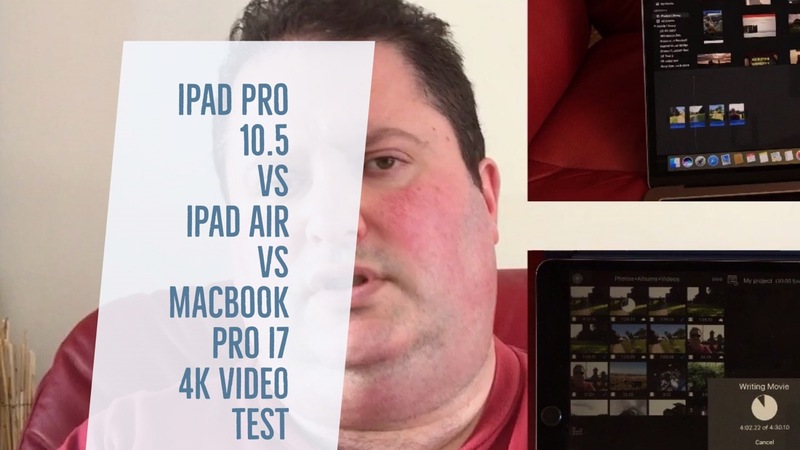 How much more powerful is it than the iPad Air at 4K video rendering. Can the new MacBook Pro with Touch Bar with top graphics and a Core i7 beat the iPad Pro 10.5 rendering a 4K video. What are the differences in 4K video rendering? In addition, my iPad Pro 10.5 is going to be used to create a pro movie with many cool features, including video in video, flashy titles and more. Instead of using iMovie, a powerful video app called Luma Fusion was used. Luma Fusion works beautifully on the iPhone 7 Plus too. Finally, iMovie is compared with Luma Fusion. The 4K video footage was filmed using my iPhone 7 Plus. I could also have used the iPad Pro 10.5 as the cameras are the same as the iPhone 7!